At India Internet, we do not believe in just website design, but in creating a web design which is easy to navigate and can attract potential customers to increase and boost your business. We are a trusted name among the service providers of Website Designing & Development for our huge clientele base. These are required by different industries, companies and organizations in order to advertise their products and services to a large and diversified population. We specialize in not just creatig websites but turning your expressions into HTML pages. Try us NOW ! All businesses today are expected to have a website and your business will suffer if you don't have one. V.B.Solutions design good quality websites which look good and easy to expand, so our clients can either build a large website right away, or start small and build-up when budget allows – the choice is yours. We are website design and development, eCommerce website, SEO company in India. And provide world class solution to our customer. 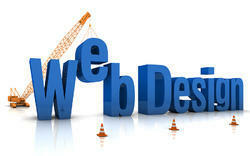 SoftMs provide stylish, effective, affordable and result oriented website design and development. We can offer a range of affordable website design and development services to any small scale, large scale business in India or around the Globe. we have designed many wonderfully websites with various unique styles which has lend to visitor growth to about 2 folds for our clients. Is your website SEO friendly A big question comes in front you whenever you think for being on top in multiple search engines. Don't worry about it, your marketing consultant is ready to give you SEO consultancy during website development and will suggest you best logical tips for your website, which directly impact online business. Xtesia is a phenomenal in delivering Simple yet effective website Design which Conforms to international Standards and complies with of all internet standards. We specialize in custom website design for Corporate, Real estate Organization, online Shopping Portals & others. A flash web site is a web site that has animation videos and interactive contents on its pages. it's a tool for heavy web Applications and is usually used for advertisements. One needs to have a flash plug-in to look the flash content on the browser.